Journal Journey and Joy! : Japanese Film Festival comes to Galway! 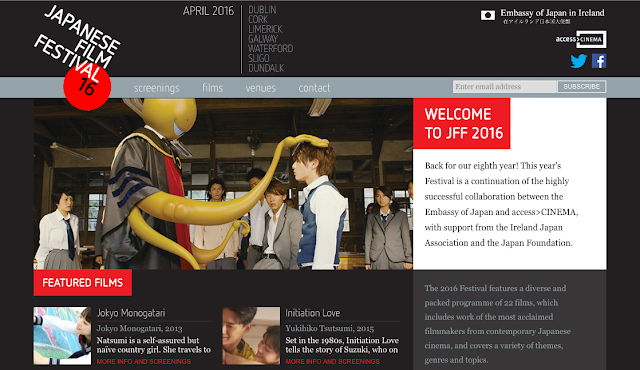 Japanese Film Festival comes to Galway! I can’t believe it, we can watch Japanese movies at a Cinema in Ireland!! 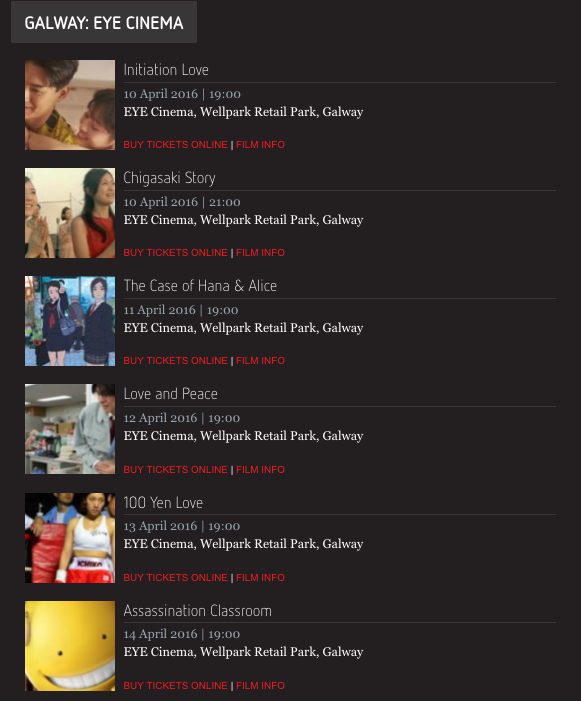 We can choose 44 screens of around Ireland, 22 titles Japanese film. Of course, each movie has English subtitles. Everyone who likes Japanese movies can enjoy! We can enjoy it in Galway as well! It’s only 25 minutes walk from the city centre to get to the “EYE cinema” but you can get there by bus too. I don’t often watch Japanese films. This time, I am watching some! Would you like to watch Japanese Movies in the Cinema? Day 0 from Galway to London. [Pic] Sake Tasting Party at Galway. 【115€】My first salary in Ireland. The best earnings ever from my blog in March.